I did an interview with the Irish Examiner a few weeks ago on whether we should tell other people about our hopes and dreams to find a partner – or keep them to ourselves! Have a read! Should ordinary people follow celebrities’ example when looking for love? UNLIKE celebrities, lonely farmers and townies don’t often get questioned about their romantic lives by microphone-thrusting reporters. But that doesn’t mean the media doesn’t want to hear from them. The BBC is planning a new show, Love in the Countryside, on which city and country folk will pair up. 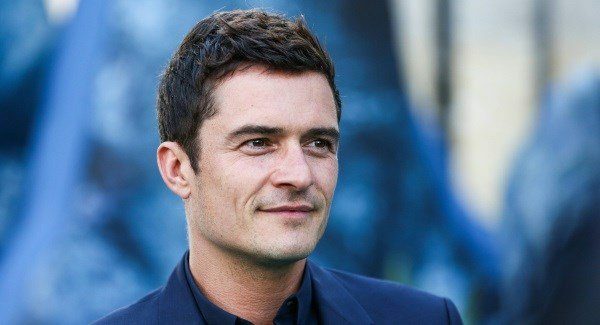 Actor Orlando Bloom has said he wants to get married again. Fellow actor, Charlotte Rampling, told the Daily Mail that she’s “an animal that needs a mate”. Yet, Bloom, Rampling, and the Love in the Countryside participants will have little in common, other than a willingness to publicly voice their quest for a partner.Whether or not verbalising the wish for a romance increases its likelihood of happening is something singer Sinead O’Connor knows more than most. Five-and-a-half years ago, she wed a man she reportedly met online four months previously. A couple of months before she married, she went on the Late Late Show and spoke about her search for a man. Perhaps that public voicing of her wish to marry propelled her to Las Vegas. 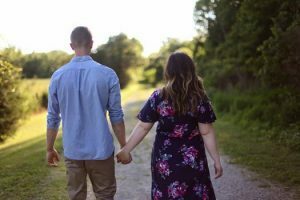 We all have a primal longing to connect, but we don’t always voice it or admit it to the world, say Cork-based relationship experts, Tom Evans and Alison Winfield. From his Midleton base, Evans opines that publicly stating that you want to marry is a positive thing: “We all keep a lot of stuff going around in our heads. So, to outwardly express what was previously held within is to make a strong statement of open-heartedness and readiness for change. For Alison Winfield, who runs Mindfully Well, a counselling service in Douglas, the question as to whether we should tell others about our goals depends on how serious we are about them. “Our brains absolutely thrive on clear goals. But the telling of them brings a degree of accountability that can give us the extra little push we need,” she says. 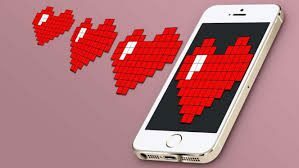 With a client-base comprising Irish, Americans, Europeans and Asians, Ennistymon, Co Clare-based matchmaker, Willie Daly, is the ‘go to’ man for many a marriage-seeker. There was a time when 90%of his clients were farmers, but that’s changing, as increasing numbers of professionals seek his help in finding a match. “They’re financially secure business people, leading busy lives. Many didn’t make time for romance, put it on the back-shelf, then get to thinking they’ve left it too late,” he says. For them, Daly has words of hope: “It’s never too late to search for love. Right now, I’ve a couple of people in their late 80s who’re seeking a match,” he says. As for whether we Irish find it difficult to say aloud to others that we want to get married, Daly says we’re getting better at it. “Really lovely, genuine people often go through their lives without saying those words out loud to anyone, and this is unfortunate, as they’re wonderful words to hear,” Daly says. But women have said yes to the men who jokingly proposed to them at Lisdoonvarna, leaving the men, who never expected an affirmative reply, ‘spellbound’ in response. Do these festival-going men make good and follow through, by marrying the strangers who spontaneously agree to marry them? Are Lisdoon’ love-seekers really that zany? Daly ponders those questions awhile and, as he does, I visualise the Lisdoonvarna Matchmaking Festival scene, complete with fast-fingered fiddlers playing wild, Irish tunes, as shy, cap-wearing farmers clutch chilled pints of larger or beer — one in each hand to steady the nerves — and battle shyness to talk with the marriage-minded revellers they encounter. If you are experiencing difficulties in your relationship and would like to talk things over in complete confidentiality, call Alison Winfield, Mindfully Well Counselling Cork on 087 9934541.